The first event of the coveted West of England Billiards & Snooker Foundation Silver Waistcoat took place on Saturday at Rileys snooker club in Plymouth. The event attracted players from around the region as well as players from the Bronze Waistcoat Tour who are aiming to achieve a higher standard of play and gain further experience. Jay Bullen who practices at Rileys Club, Exeter under the watchful eye of Eric Gold, was up against friend and rival Jake Stewart in the final. Being in no mood to let their friendship get in the way, Stewart secured a convincing first frame 86-13 with the best break of the day, a superb 72 break. Bullen responded well under the pressure and with the help of a 30 break levelled the match with a close victory in the second frame (64-52). The third and final frame proved to be a tough battle with Bullen edging away to take the frame and victory. In group A, Regional Bronze Waistcoat champion Jake Stewart from Cornwall started his campaign with an impressive 2-0 win over Tom Vanstone, compiling a good break of 32. Peter Beckwith had two close frames against Adam Lewin to win 2-0. In a closely fought final frame Chris Coumbe beat Beckwith 2-1 the frame going to a black ball decider. Stewart played consistently in his game against Lewin to win 2-0 victory. Vanstone put behind him an early loss and stepped up a gear against the ever improving Coumbe to win 2-0. Beckwith’s head to head with Vanstone was a thriller with frame scores extremely tight at 56-50, 58-47 resulting in Beckwith being put out of contention to qualify. Lewin grew stronger as the day went on and his tenacity was rewarded by a win against Coumbe 2-1. Stewart finished strongly with 2-0 wins against Beckwith and Coumbe to finish the group stages without having dropped a frame. Stewart polished off the group stages with a fine 51 break in the final match. Group B saw Jay Bullen start the season in fine form with a superb 2-0 win over Chris Corry. Debutante Joe Murray’s first match against Cody Hall went down to the wire with the newcomer stealing the win 2-1. Murray then went on to beat Bullen 2-1 with some good safety play and excellent potting. Hall produced a good 26 break but was denied the win against Corry who fluked the final black to win 2-1. Corry, still feeling confident, then went on to beat Murray 2-0 to secure his place in the semi final stages. Bullen joined him after winning 2-0 against a disappointed Hall who had ‘a bad day at the office’. The semi finals saw Corry, who was having a fantastic tournament, matched against Bullen who is regarded as one of the most improved players in the region. Maintaining his focus, Bullen sealed a 2-0 victory with a 22 break in the last frame and by a comfortable margin in the second. Vanstone was pitted against Stewart in the other semi-final and what a cracker it turned out to be, with breaks of 44 & 38 by Stewart, Vanstone held his nerve to clear the colours to take the match into a deciding frame. Vanstone’s efforts proved to no avail as Stewart wasted no time running out a 2-1 winner to set up a mouth watering final with Bullen. Tournament Director, Darren Hall, commented “To watch these young players develop their competitive snooker skills in such good spirit makes the job of Tournament Director easy and very rewarding. The news of fellow WEBSF member Sam Baird achieving professional status has really upped the focus and realisation that hard work and dedication can really pay off”. Jake Stewart from Redruth has won the second leg of the WEBSF Silver Waistcoat tour. After losing in the final of the first event, Stewart went one better to win event two. A strong field of youngsters from around the region turned up to compete at the Plaza Snooker Club, Plymouth. The venue proved ideal for good snooker and a after 11 hours of competition Adam Gallen from Exeter joined Stewart in the final. The best two players on the day put on a good show, both displaying excellent tactical safety play beyond their age. The first frame could have gone either way until a timely snooker laid by Stewart, brought about a mistake from Gallen which led to Stewart mopping up the colours to take the lead. Gallen never really recovered, finding it hard to make the most of his limited chances, Stewart seized the opportunity to seal a comfortable 2-0 win and with it the winners cheque. In the semi finals both finalist had to battle hard, each coming back from a 1-0 deficit to win 2-1. Gallen came through a tough match against rising star from Plymouth Dan Legassick. This 12 year old displayed quality snooker all day and looked every bit the favourite to win the event. Gallen was at first taken aback by some awesome potting from Legassick. One of Legassick’s strengths is his ‘never say die’ attitude with proved instrumental in the first frame. When needing snooker and all the balls to win Legassick got the snooker he wanted and followed it by clearing the colours after two attempts to win by just 2 points. Gallen returned the favour in the next, clearing to the pink to level the match. The deciding frame saw a more experienced Gallen win through with quality safety shots at crucial points in the frame which created chances to take him to a 2-1 victory. The semi final between Stewart and Tom Vanstone turned out to be more of a marathon. Vanstone took the first frame on the black and he looked like he was heading for comfortable win when in control of frame two. With Vanstone faced with four match-ball chances Stewart feared the worse. However, with every missed chance that Vanstone failed to take, Stewart’s interest in the frame seemed to increase. Then the inevitable happened, with the score at 51 apiece and only the black left, Stewart couldn’t believe his luck as another chance was missed by Vanstone leaving a mid range pot for Stewart to level the match. Stewart, now with the wind behind him and Vanstone’s confidence reeling booked his place in the final taking the deciding frame with ease. In the quarter finals, Gallen won 2-0 against debutante Nathan Bright from Exeter and Stewart came from behind to win 2-1 against event 1 winner Jay Bullen who made a 50 break in the first frame. Vanstone came through 2-1 against Steven Hull from Falmouth and Legassick quickly dismissed of another of Plymouth’s young stars of the future Haydon Pinhey 2-0. In group A Stewart claimed top spot by winning all six of his matches dropping just one frame. Second place was claimed by Pinhey, winning five matches. Third place went to Hull winning three of his matches and the last qualifying place went to Bright just one ahead of Adam Lewin. Notable breaks in the group Bright 37, Stewart 33 & 40 and Pinhey 30,42 & 52. In group B, Legassick finished top winning five matches. Second place went to Bullen also with five wins. Third place went to Vanstone and the last qualifying place was claimed by Gallen. Notable breaks, Vanstone 37, Bullen 32,33 & 44 and Legassick breaks of 32,39, 39,45 and the highest of the day a super 61. Details of this tour and other tournaments which are organised by the West of England Billiards & Snooker Foundation can be found on websf.co.uk or by contacting Roger Cole Mobile 07850882770. Redruth’s Jake Stewart came through a strong field to win his second Silver Waistcoat event of the season, and strengthen his lead at the top of the overall rankings. Stewart was pushed all the way in the final by up and coming Plymouth prospect, Haydon Pinhey. The first frame was even until Stewart clinched it with a fine clearance of the colours. Stewart looked like going on to win 2-0 after taking an early lead. However, a timely 30 break by Pinhey set up a tense climax to the second frame. After Stewart spurned a couple of golden opportunities to steal the frame on the final black Pinhey made the most of his final chance to pot the black and level at 1-1. Victory was assured by a bout of good safety from Stewart as he closed out every opportunity for Pinhey to score. Stewart topped this with an excellent frame winning 48 break to win 2-1. Pinhey booked his place in the final, with a fine 2-0 win over Jay Bullen from Exeter, taking the final frame on the black. The youngest player on the tour 12 years old Dan Legassick is very quickly becoming the player everyone wants to avoid in the draw. His first tour win must come soon! Stewart faced Legassick in the first semi final and Legassick wasted no time winning the first frame with a 32 break. Stewart then had to dig deep in the next frame to eventually win through on the colours. In the decider it was Stewart who opened with a fine 48 break, only to see Legassick respond with a 32 break of his own. On the colours it was Stewart who crawled over the line, leaving Legassick chasing one snooker. Stewart seized his opportunity to clear the remaining colours and win 2-1. In the quarter finals, Pinhey won 2-0 over Falmouth’s Steven Hull. Jay Bullen won 2-0 against Peter Beckwith. Stewart won 2-0 against Tom Vanstone and Dan Legassick beat Adam Gallen 2-0, Legassick making a 40 break in the first frame. The group stages saw Tom Vanstone win group A winning all six of his matches. Second place went to Jay Bullen with 5 wins. Third place went to Peter Beckwith and the last qualifying place went to Steven Hull. The unlucky players to miss out were Adam Lewin, Chris Coumbe and Joe Murray, who finished in 5th, 6th & 7th respectively. Notable breaks in the group came from Bullen, 35,45 & 47. In group B, Stewart took top spot winning 5 matches. Second place went to Pinhey with 4 wins. 3rd place went to Legassick and 4th place went to Adam Gallen. The unlucky players to miss out were Jack Vivian, Nathan Bright and Cody Hall. Notable breaks, Pinhey 32 & 36 Pinhey and Stewart 31. Jake Stewart from Cornwall marches on at the top of the rankings by winning the third round, making it three in a row, of the West of England Billiards & Snooker Foundation Silver Waistcoat. Stewart beat Tom Vanstone 2-0 from Plymouth in the final. In the semi finals Stewart beat Dan Legassick 2-0 whilst Vanstone ended a confident run by Jay Bullen from Exeter by the same score. The quarter finals saw a couple of closer matches with Adam Lewin holding Stewart at 1-1 before Stewart won the match with a 42 break. Legassick made light work of Cody Hall as did Bullen over Peter Beckwith both winning 2-0. Steven Hull from Cornwall made a good attempt before Vanstone took the match 2-1. In the group stages Stewart was in impressive form making breaks of 44,41 & 38 to win all his matches without dropping a frame and top group A. In a three way tie for second place Vanstone edged Legassick into third place and Hull into fourth place. Legassick made the best break of the day a nice 54. Jack Vivian and Chris Coumbe failed to qualify on this occasion, Coumbe the consolation of a 30 break. In group B Bullen finished top dropping just one frame and making a 38 break. Beckwith came a close second followed by Lewin and Hall. Chris Corry had an off day on the baize but no doubt will be back next event. With one event left to play Stewart only has to turn up to take the overall title. However runner-up spot is still up for grabs as is the overall highest break prize. 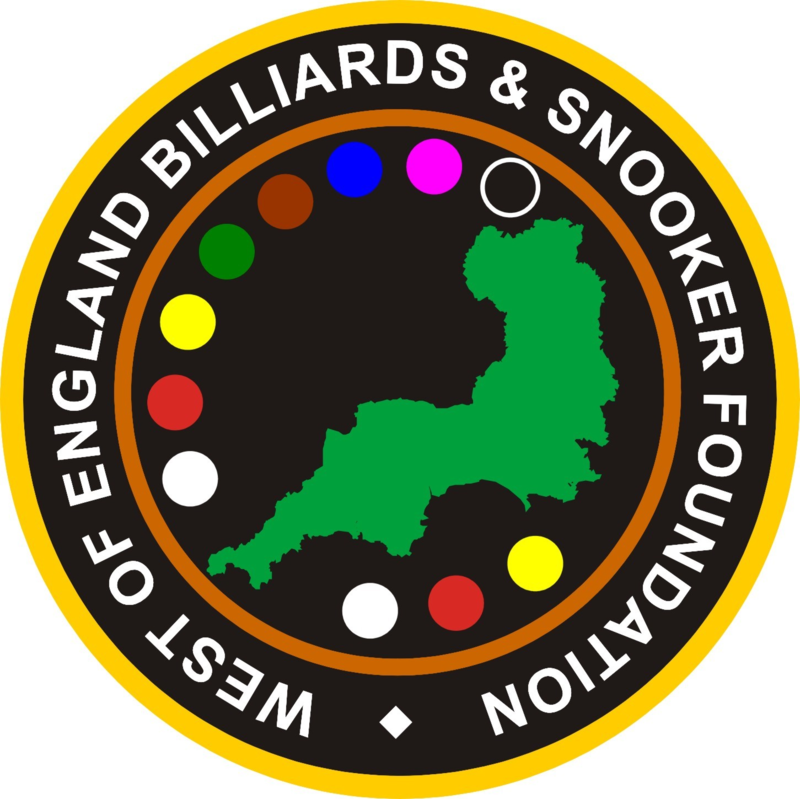 Details of this tour and other tournaments which are organised by the West of England Billiards & Snooker Foundation can be found on http://www.websfsnooker.com. The West of England Billiard & Snooker Silver Waistcoat U21 tour reached a conclusion at the Riley’s Snooker Club, Plymouth. It was Cornwall’s Jake Stewart that did enough, in this final event, to finish at the top of the rankings and take the crown of 2009/10 Silver Waistcoat Champion. Despite falling at the semi final stage to the event winner Simon Hosking, Stewart amassed enough ranking points to stay ahead of Exeter’s Jay Bullen. Event 5 winner Hosking, a 21 year old newcomer to the tour, also from Cornwall played solid snooker all day. In the final he was up against Plymouth youngster Dan Legassick who found Hosking too hot to handle. This was also a first time in a Silver Waistcoat final for Legassick. After losing the first frame to a free flowing Legassick, Hosking decided on a different strategy. He adopted a more conservative approach in his shot selection, playing some terrific safety which forced Legassick into making mistakes. This proved telling as Hosking took the next two frames to seal victory. The day started with Hosking wining group A winning four of his five matches.Second place went to Stewart, also with 4 wins. Third place went to Steven Hull from Falmouth and the last qualification place from group A went to Jack Vivian also from Redruth. With all four Cornish lads through it was the Plymouth duo of Haydon Pinhey and Adam Lewin who missed out on qualifying. Notable breaks in the group came from Pinhey 37, Hosking 30 & 48, and Stewart who had the lions share of the breaks with fine runs of 54,61, 62, 67 and the highest of the day and overall tour a fine 76. In group B, Legassick took top spot with four 4 wins out of five. Second place went to Tom Vanstone also with four wins. Third place went to Chris Coumbe and the remaining qualification place went to Pete Beckwith. The two players who narrowly missed out on this occasion were Joe Murray & Chris Coumbe. Notable breaks within the group, Coumbe 33, Legassick 34, and a fine 44 from Vanstone. In the quarter finals Legassick was made to fight all the way against one of the tour favourites, Vanstone. After sharing the first two frames, Legassick eventually sealed the win on the pink in the decider. Hosking also found it tough against tour veteran Beckwith with the first two frames being shared. In the decider the scores were even until a timely 40 break by Hosking proved to be the turning point in the frame to take the win and progress to the semi’s. Stewart went one frame down against Jack Vivian, losing on the black before he levelled the tie with some terrific safety play. His good safety continued in the decider allowing Stewart to ease to a 2-1 win. In the last of the quarter finals, Hull played solidly throughout to ease to a 2-0 win over Chris Coumbe. In the semi finals, Hosking again did it the hard way, coming from a one frame deficit to win 2-1 against fellow County player, Stewart. In the other semi final, Legassick made quick work to win 2-0 against Hull.